We love Pop Haircuts’ Pastel Pink Hints hairstyle, an ombre that’s enlivened with subtle hints of pastel pink near the tips of the hair. This color suits medium to long hair of various textures, but we especially love it on wavy hair. 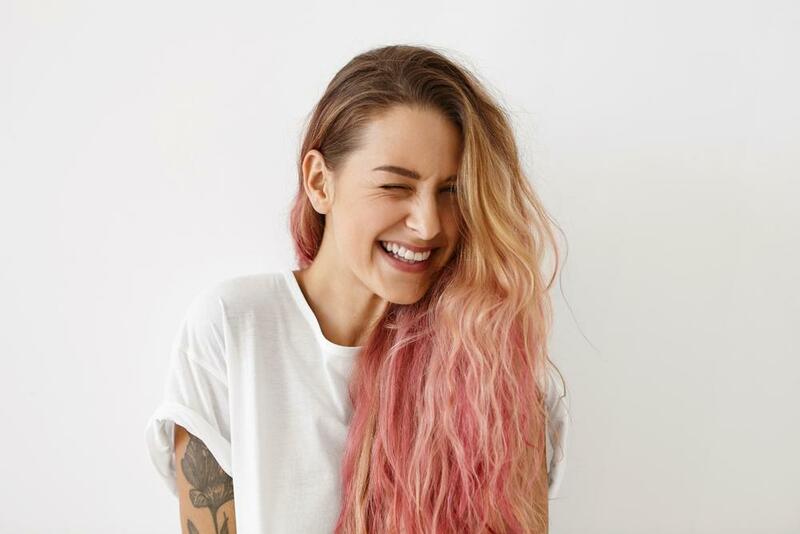 To get this look, ask your stylist to give you ombre hair with the darkest notes concentrated near your roots, and to blend in pastel pink highlights of a similar shade to the lighter blonde notes in your hair. 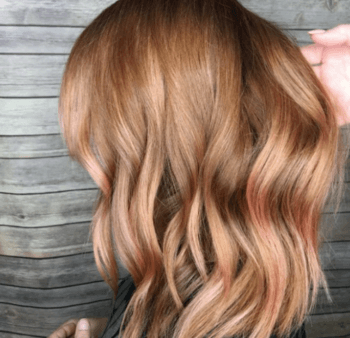 Society19’s Rose Gold Ombre look is a more colorful ombre: It’s playful, elegant, and eye-catching, all in one! 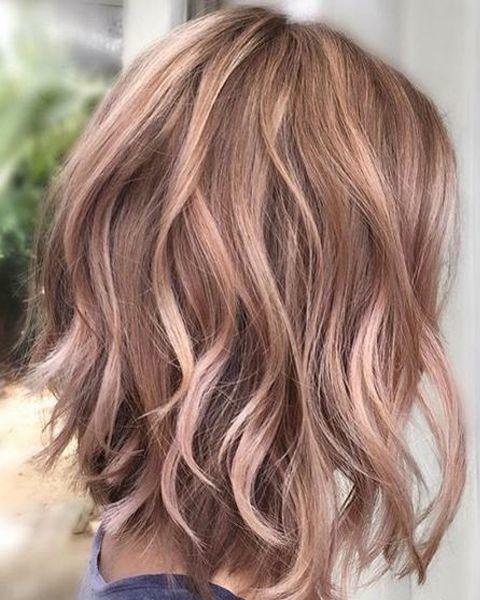 To create this look, have your roots dyed a medium rose tone, and have the color fade gradually to become light rose gold at the ends of the hair. We love this look on sleek, shiny hair–and would love to see someone combine it with the glass hair look to achieve new levels of gorgeousness. We also love Society19’s Dusty Rose Gold look, a darker-toned take on rose gold style. This look is sensual and a bit mysterious, a great twist on pink hair for those who don’t want an extremely bright hair style. 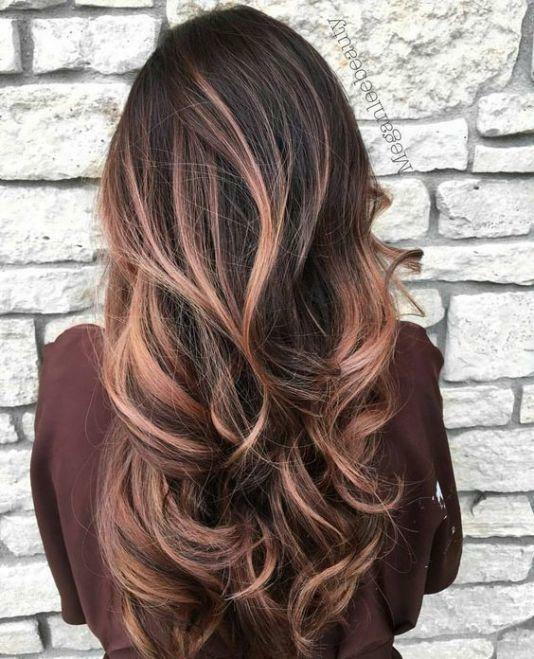 Ask your stylist for an ombre look that fades from dark brown to light brown, with rosy highlights of a similar tone to the lighter brown color. Like the pastel ombre above, we like this look on wavy, beachy hair. 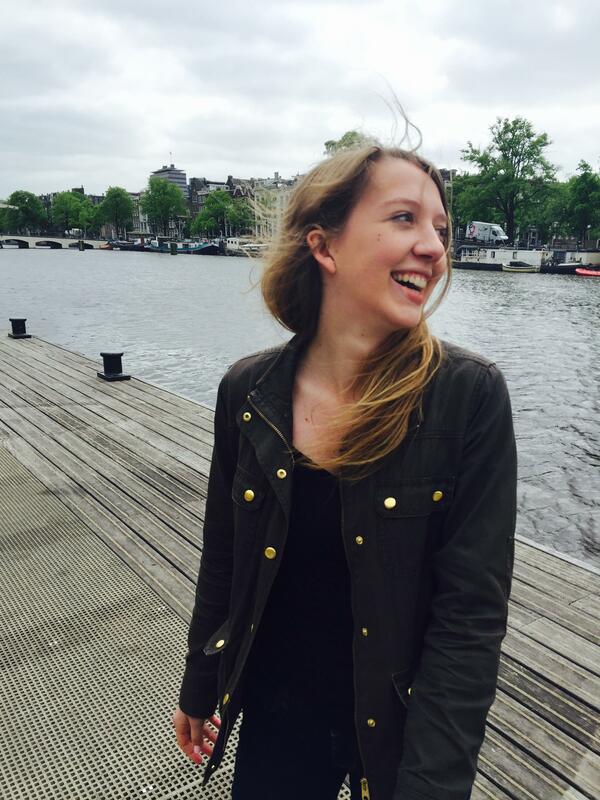 As the style above proved, you don’t need to go blonde to rock rose gold hair. Redken’s Rose Gold Hair for Brunettes look is an even more natural-looking way to incorporate rose gold into your hair. It’s also super simple to achieve: Just ask your stylist to throw some rose gold roots into your hair; the closer the tone of the pink is to your own hair tone, the more natural the look will be. This low-maintenance look would look great on any hair texture. Hair dye can be extremely drying, so it’s important to focus on hydrating and nourishing your hair before and after color treatments. We recommend using a natural shampoo that’s formulated specifically for color-treated hair, like Pacifica’s Berry Preserve Color Protect Shampoo–and following up with a matching conditioner. Unlike their conventional counterparts, a natural product that’s free of harsh chemicals won’t cause further dryness or damage. You can also protect your color-treated hair using a natural hair serum, like Yarok’s Feed Your Sunshine hair serum, which protects your hair against sun damage, preserving its color. A serum like Yarok’s can also help to replenish moisture and heal damage caused by chemicals and the elements alike.